Queenswood is a prominent Victorian house on the edge of Cradley village, under 10 minutes from Malvern. 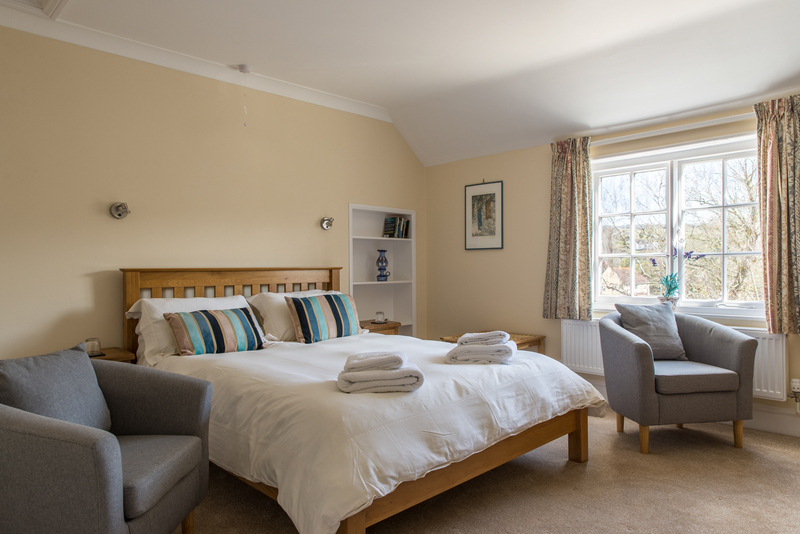 We completely refurbished Queenswood in 2017/18 and now it has four spacious, light, airy ensuite guest bedrooms and guests’ dining and drawing rooms with log fires on cooler nights, Freeview TV and free Wifi. 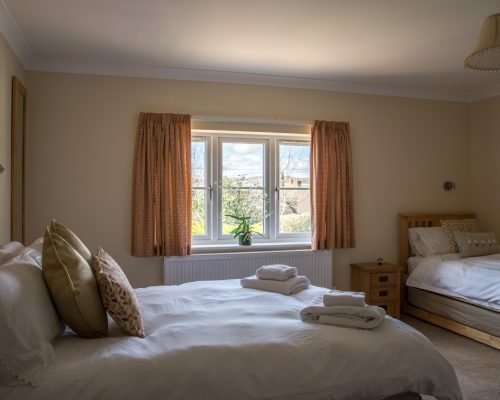 The beautiful village of Cradley nestles on the very edge of the stunning Malvern Hills, both in an Area of Outstanding Natural Beauty and Conservation Area. 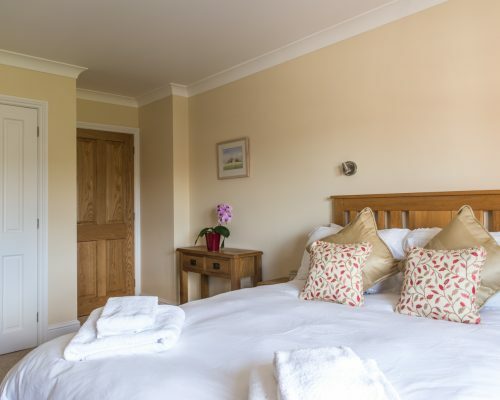 Queenswood itself is quietly located on the outskirts of the village, amongst ancient mixed woodland and fields of sheep, cows and horses; set slightly off the road, with plenty of off-road parking. 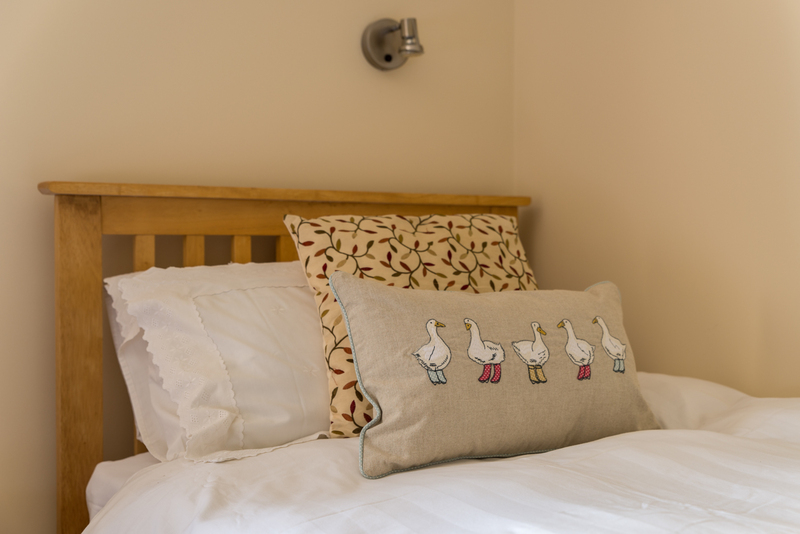 Egyptian cotton sheets, light snuggly duvets and soft towels. 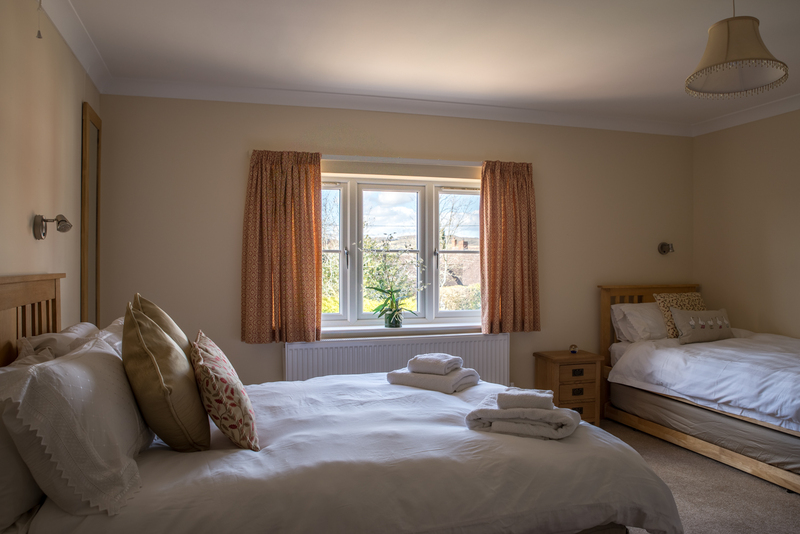 The bedrooms are light and airy and there is constant hot water and full central heating throughout. 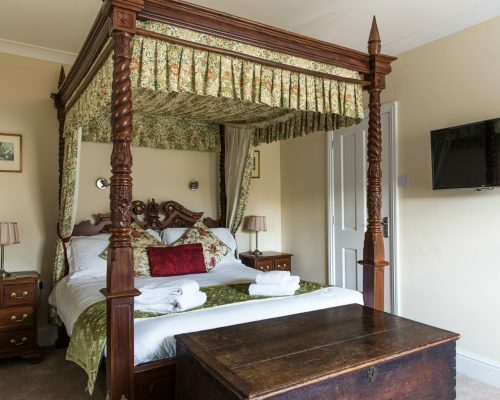 The beds are luxurious with Egyptian cotton sheets, light snuggly duvets and soft towels. The dining room caters both for couples at individual tables, and also for larger groups who can sit together around a large dining table. 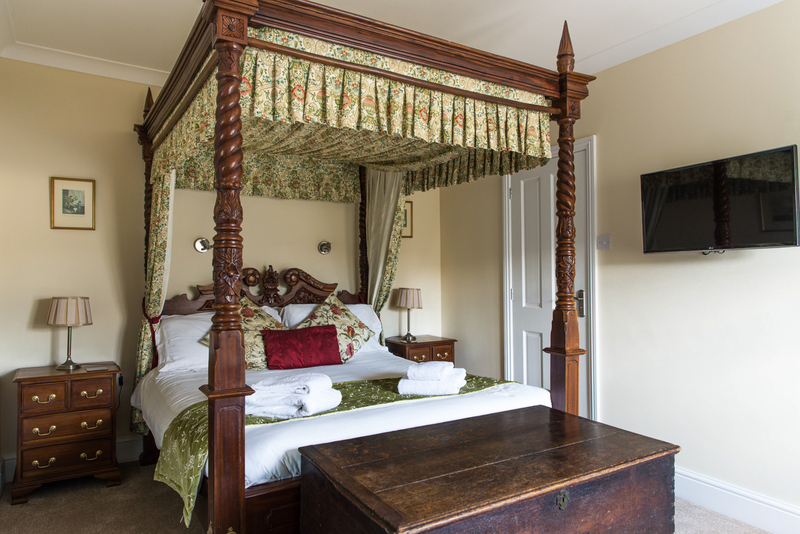 Full English breakfasts are standard and come with a buffet table with home-made breads, jams and marmalades. Continental breakfasts, smoked salmon and scrambled eggs, kippers or smoked haddock and poached eggs or vegetarian options are also available. We are well used to a variety of dietary requirements. 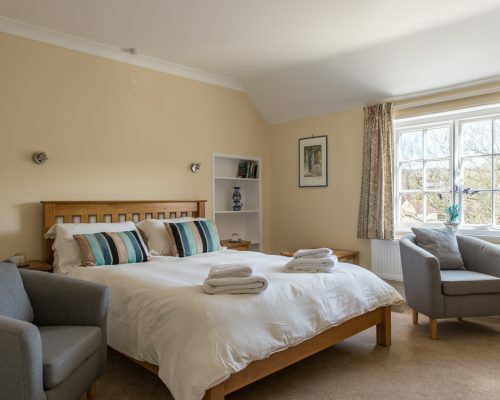 Queenswood is the perfect place to unwind at the end of a day, with a lounge for guests to use, gardens and field to wander in and the sound of the church bells across the fields. We have 2 friendly Kune Kune pigs who love attention, being scratched and fed apples and 2 collie dogs who make friends with everyone who visits. Then of course in the evening there is The Red Lion pub for good food and convivial company, only 10 mins walk across the fields. 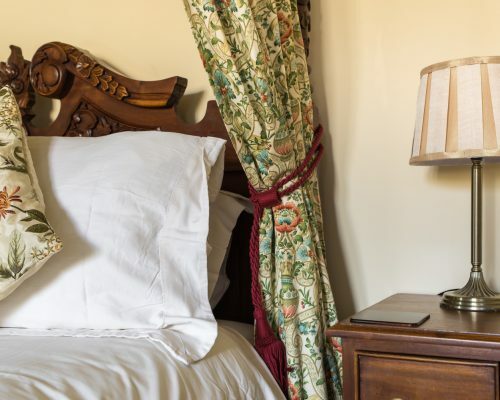 We bought Queenswood in Cradley just over 12 months ago and spent a 12 months transforming a tired old Victorian house, untouched for over 30 years, into a superb Bed and Breakfast destination. 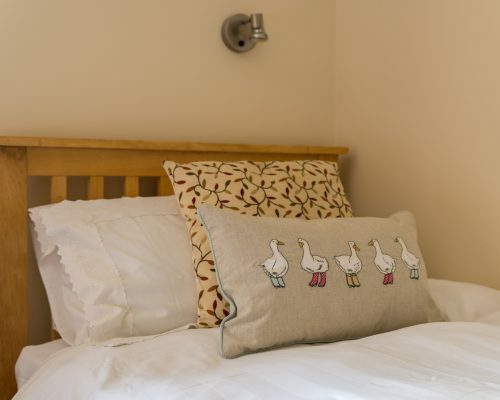 This semi-retirement project came after spending 25 years establishing a Five Star, award winning cottage holiday and bed and breakfast business, where we spent our time wisely listening to our guests and making sure we provided what they wanted. 6th - 7th May 2018:	Thank you very much for a lovely stay. 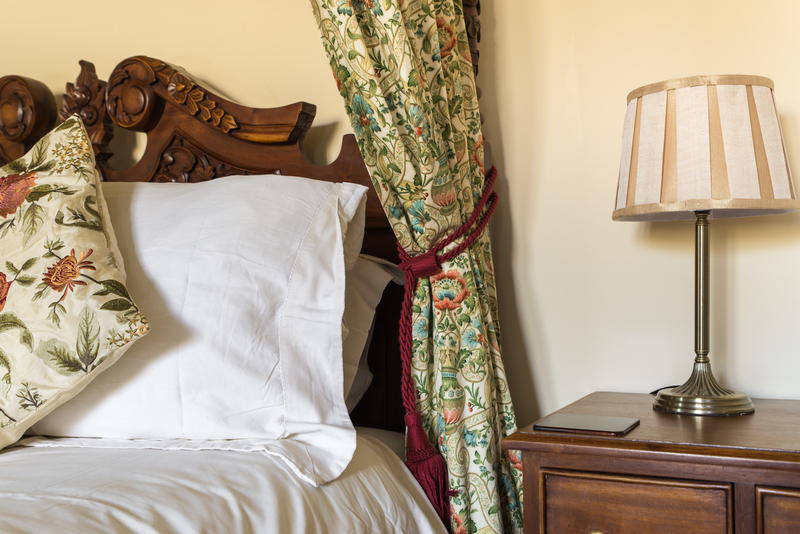 The 4-Poster Room and breakfasts were a welcome treat. We hope to return to enjoy more sunshine and relaxation. 9th – 10th May 2018:	Great accommodation and breakfast – ‘Big Daddy’ and husband enjoyed ourselves!! 9th – 12th May 2018:	Thank you so much for your kindness, care, hospitality & friendship over these days. Your accommodation is so comfortable and homely, and and breakfasts are delicious food. I can’t thank you enough. 12th – 14th May 2018:	A good night’s rest – breakfast the best. When we manage to come back We will consider ourselves blessed. 11th June 2018: A warm welcome from the greeting party …….. lovely letting in a quiet spot, very restful away from the hubbub of everyday life. 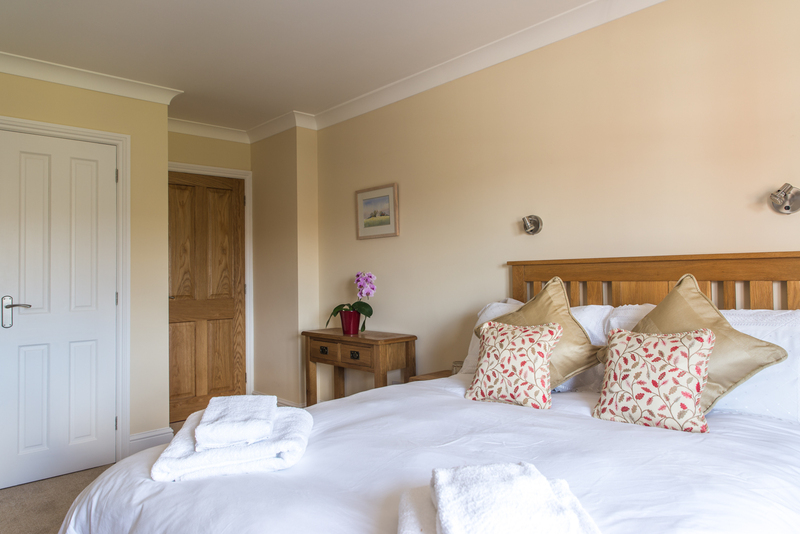 Elaine was charming and helpful; great breakfasts and coffee, the room clean, tidy and fresh. We loved it – thank you. 14-16 June: You have a lovely place. We enjoyed our stay very much and thank you for your hospitality, Elaine. 29 June 2018: Thank you for a lovely stay and for your kindness, from showing me the walk to the pub, to the sprigs of marjoram on the soldiers with the boiled eggs. It couldn’t have been better. 25 July 2018: Forget the usual platitudes. In almost 40 years of B&B-ing, this is by far the best we’ve stayed in.